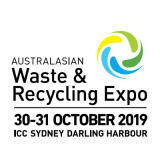 The Australasian Waste & Recycling Expo (AWRE) is Australia’s longest running marketplace for waste buyers and suppliers. The industry is now worth $265.65 billion (USD) globally and this event will present the latest developments and technologies. This event is a two-day collaboration showcasing the present and future of waste disposal and recovery. It has become the most respected showcase of efficient, profitable and sustainable waste and recycling solutions on the Australian calendar. Now in its 10th year, it’s no coincidence that the AWRE Speaker Series attracts renowned industry leaders covering the most talked about industry topics at such a critical time. 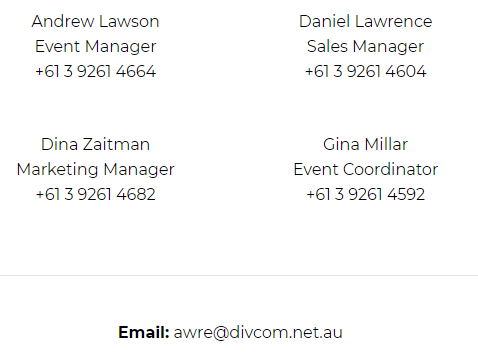 Speakers are being sought to join industry panels onsite at AWRE 2019. If you would like to be considered, please be in touch. Please note, presentations are educational and not biased toward any company or product. Presenters participate on a voluntary basis.